Vatican Secretary of State Tarcisio Bertone says he is preparing to visit Cuba in February where he will bless a monument recalling Pope John Paul II's historic 1998 visit to the Communist island. Bertone, who holds the Vatican's second-highest position after Pope Benedict XVI, made the announcement in an interview with Italian Catholic magazine Famiglia Cristiana, to be published in its Jan 6 edition. 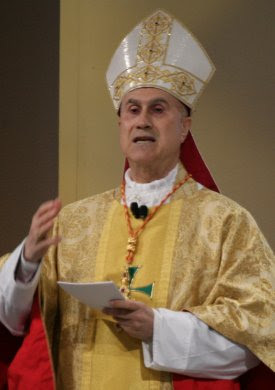 Bertone described his planned blessing of 'the great public monument' for John Paul II in the central city of Santa Clara, to commemorate the 10th anniversary of the late pontiff's visit to Cuba, as a 'positive fact'. Bertone also said he hoped to meet Acting President Raul Castro who for over a year has been standing in for his brother, Cuba's ailing revolutionary leader, Fidel Castro.